Whether you're a longtime Arizona resident or a newcomer, chances are there's something you've always wondered about the Valley. From The Arizona Republic and azcentral.com comes Valley 101, a weekly podcast where our journalists find answers to your questions about metro Phoenix. From silly to serious, you tell us what to investigate. You can submit questions at valley101podcast.azcentral.com or reach us on Twitter @Valley101pod. Population part 2: Just how big could we get? Population part 1: How did the Valley get so big? Does Phoenix have a gayborhood? How did Phoenix get its name? What happened to Terminal 1 at Phoenix Sky Harbor airport? What happens to recycling after it leaves our homes? Does the pollution in Phoenix shape our sunsets? What creates the brilliant red and pink sunsets in Phoenix? Local folklore says that the pollution in Phoenix shapes our sunsets. But is that true? 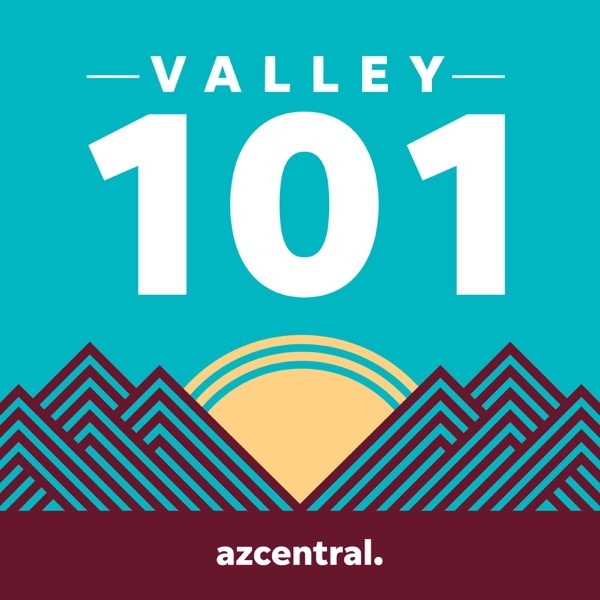 Katie O'Connell, the head of podcasts for The Arizona Republic and azcentral.com, found out.&nbsp;<br>&nbsp;<br>Tell us your questions about metro Phoenix at valley101podcast.azcentral.com or find us on Twitter at @valley101pod. You can reach Katie on Twitter at @katieoc. Why does Phoenix have so many wrong-way drivers? Every year, there are dozens of car crashes involving wrong-way drivers in Arizona. How does metro Phoenix compare with other metropolitan areas across the country? What is causing this problem, and can we do to stop it? Arizona Republic and azcentral.com producer Téa Francesca Price investigates.<br>Tell us your questions about metro Phoenix at <a href="https://www.azcentral.com/story/news/local/arizona/2019/01/25/phoenix-arizona-podcast/2348016002/">valley101podcast.azcentral.com</a> or find us on Twitter at <a href="https://twitter.com/valley101pod">@valley101pod</a>. You can reach Téa on Twitter <a href="https://twitter.com/_tfprice"><strong>@</strong>_tfprice</a>. What was the Roosevelt Row Arts District like before today?